Bhutan, the land of the Dragon Kings, overwhelms and moves visitors easily, not with their traditional architecture or intriguing history, but with the nation’s generosity, simplicity and love for it’s traditions. Like any family, it’s children can only be as good as it’s parents. And for Bhutan, this little nation has been blessed with having a line of monarchs who were far-sighted and humble, and ruled the nation with the love any parent had for their child. Bhutan was founded by Shabdrung Ngawang Namgyel who unified Bhutan into one religious state in 1616. After his passing, Bhutan was governed by the Shabdrung’s recommended “dual system of government” where government control was split between a civil administrative leader (Druk Desi) and a religious leader (Je Kehnpo). Both the Druk Desi and the Je Khenpo were under the authority of the Shabdrung Rinpoche (the reincarnation of Shabdrung Ngawang Namgyel). The dual system of government however ended with Jigme Namgyel’s descendant Ugyen Wangchuck. Jigme Namgyel’s family had direct lineage to the Pema Lingpa (famous saint) and relations with two rebirths of the Shabdrung Rinpoche. He was chosen to be the Penlop (Governor) of Trongsa and amongst all rulers, he was the most powerful, however he passed away unexpectedly before he had the chance to unify Bhutan through a monarchy system. 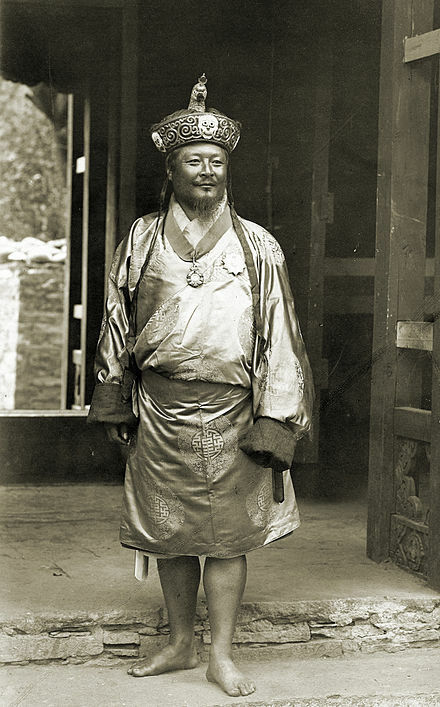 Gongsa Ugyen Wangchuck, born in 1862, succeeded his father, Jigme Namgyel as the Penlop (Governor) of Trongsa. He held his power base in Central Bhutan and unified Bhutan by defeating political enemies through a period of civil wars and rebellions in the early 1880’s. During the years leading up to his monarchy, he developed close relations with the British by assisting with negotiations between Britain and Tibet. To show their respect for him, the British knighted Gongsa Ugyen Wangchuck in 1904 and gave him the title of Knight Commander of the Indian Empire. He was more often known as Sir Ugyen Wangchuck following the bestow of the title and continued to receive honours from both the British and Indian governments as evidence of his ability to build diplomatic relations without sacrificing his nation’s sovereignty. In the year 1907, Ugyen Wangchuck was elected to be the hereditary monarch of Bhutan, giving rise to Bhutan’s first King, and ending the dual system government. Ugyen Wangchuck was crowned on December 17, 1907 with the title Druk Gyalpo (Dragon King). During his 19 years reign, he continued to maintain close relations with Britain and India, as part of gaining security from the increasing chinese influence in Tibet. Other than that, Bhutan remained largely isolated from the rest of the world. Sir Ugyen Wangchuck passed away in 1926 and was succeeded by his eldest son Jigme Dorji Wangchuck. 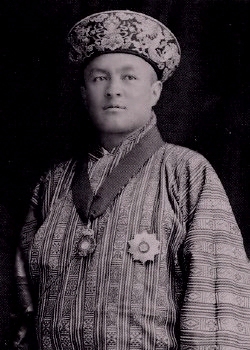 Jigme Wangchuck, the second ruler of Bhutan, born in 1905, ascended the throne in 1926 upon the passing of his father. He was raised from a child as the successor to the throne and received a strict education in English and Hindi and was schooled in Buddhist principles. The King’s reign saw significant changes as he implemented administrative reforms within the country. He put in place a simple hierarchical system where he had absolute power over all matters religious and secular and appointed a head abbot (Je Khenpo) to setup a central religious administrative body. During King Jigme Wangchuck’s reign, Bhutan continued her journey of isolation with a focus on centralized power to ensure political stability in the country. King Jigme Wangchuck passed away in 1952 and he was succeeded by his son Jigme Dorji Wangchuck. 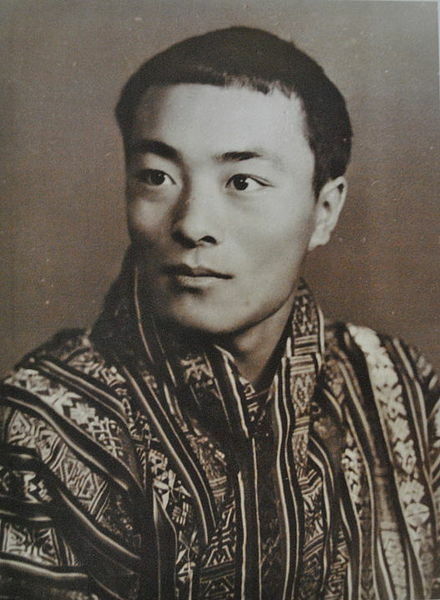 Jigme Dorji Wangchuck, born in 1929 ascended the throne at the age of 23. He is known as the Father of modern Bhutan, and like his father, he was educated in English, Hindi and Buddhist principles. He also spent six months in England during his youth. Bhutan’s isolated journey in the world ended with the third King’s reign. He recognized the need to establish international relations for the world to recognize Bhutan as a country and to protect his country’s sovereignty. The King engaged foreign nations in the development of Bhutan and invited European nations to be involved in developmental projects. In 1862, he joined the Colombo Plan where Bhutan received technical assistance for infrastructure development and educational scholarships. In 1971, under King Jime Dorji Wangchuck’s reign, Bhutan became a member of the United Nations. In his early years after his ascension to the throne, the King understood that he needed to implement socio-economic reforms so his country could develop further. In 1956, he took the big step of ending feudalism, redistributed land to the landless while monasteries gave up land in exchange for financial support from the government. In 1961, the King drafted the country’s first economic development plan, of which Bhutan is still following till to date. The King was far sighted and learnt from history that centralized power was not the way forward for Bhutan to continue enjoying peace and stability. During his reign, he setup a modern judicial system, and the country’s first Council of Ministers. The King also established a National Assembly (tshogdu) who had the power to remove the King or his successors with a two third majority, allowing Bhutan to take the first step towards democracy. His reforms and international relations opened the window for Bhutan to the outside world and started a slow but steady journey towards a system of democracy. King Jigme Dorji Wangchuck passed away in 1972 while receiving medical treatment in Nairobi, Kenya. He was succeeded by his son Jigme Sinye Wangchuck. 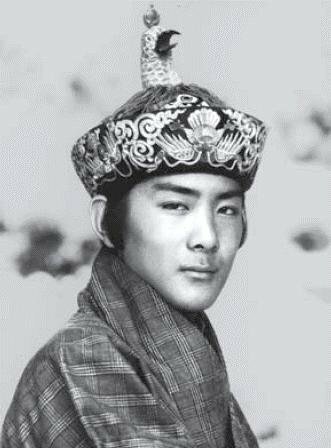 Jigme Sinye Wangchuck, the fourth ruler of Bhutan, born in 1955 ascended the throne when he was just 17 years old, making him the youngest monarch in the world. The King had received a modern education when he was a child, studying in India and the United Kingdom. He grew up close to his father, accompanying him to tour to remote parts of Bhutan, and gaining first hand knowledge of his land and his people. He was influenced by his father, and continued with the phase of modernization and socio-economic reforms that his father had set in motion. The King continued to establish international relations, joining many regional cooperative bodies and making itself heard in the United Nations, cementing the nation’s independent and sovereign status. His reign was marked by two milestones which saw Bhutan leap forward in progress. The King slowly started the process of decentralizing his power, and in 1998, the role of Prime Minister was created. In 2006, the King announced the time had come for a democratic government. He researched the constitutions of more than 50 nations, seeking comments from the public and consulted with the 20 Dzongkhags (Bhutan’s administrative and judicial districts). Two years after the King’s reign ended and in accordance to his wishes, the Constitution was enacted in 2008 and elections were held in the same year, giving birth to a new system of governance. King Jigme Sinye Wanchuck was also the creator of the now internationally known philosophy “Gross National Happiness”. This philosophy emphasized on how development of the nation should be carried out taking into consideration the happiness of the people. In his lifetime and during his reign, Bhutan’s economic progress accelerated as the King established industries in raw materials, agriculture and hydropower. Extensive roads were built connecting the country even in the remote areas, while schools were built. The King, believing in the importance of education, sent many students to pursue an overseas. It was also during his reign that the country’s first airline, Drukair became operational. His love for his country was further evidenced when he led an army in 2003 and successfully flushed out insurgents from India who had established several powerful bases in the Bhutanese forests. The operation was a success, and surprised the international world as the militants were flushed out in three days. King Jigme Sinye Wangchuck created history when he became the first King in Bhutan to abdicate his throne to his son, Jigme Khesar Namgyel Wangchuck in 2006. Jigme Khesar Namgyel Wangchuck, the fifth ruler of Bhutan, born in 1980 was coronated in a ceremony on November 1, 2008, the year that marks the 100 years of monarchy in Bhutan. King Khesar received a foreign education, studying in the United States before graduating from Magdalen College, University of Oxford. His father surprised his people when he abdicated his throne two years ahead of plan. The nation’s doubt and concerns were quickly allayed in the young King’s first speech where he assured his people he would continue to rule with his father’s policies in mind. In the last 9 years under the King’s rule, he oversaw the implementation of the Constitution of Bhutan, bringing to his people the democracy his father has wished for. After his coronation, the King’s first landmark project was the National Cadastral Resurvey in March 2009, which focuses on improving the lives of people living in remote parts of Bhutan. In 2011, he launched the Kidu Foundation. Kidu or the wellbeing of the people is by tradition, a Royal Prerogative, included in the Bhutan Constitution and is the fundamental responsibility of the King. The role of the Kidu Foundation is to work with government efforts to address critical issues in areas of education, the rule of law, democracy and media, sustainable economic development, and preservation of the country’s environmental and cultural heritage. In 2011, he married Jetsun Pema and the royal wedding was Bhutan’s largest media event in history. During the ceremony, the King also received the Crown of Druk Gyaltsuen (Queen) and bestowed it on Jetsun Pema, thus proclaiming her formally as the Queen of the Kingdom of Bhutan. The young King, like his father, is popular at home and overseas. Together with the Queen, they travel internationally and have raised the profile of Bhutan as a sovereign country. The fifth Druk Gyalpo has gained the respect of his people, and proved that he will continue to promulgate the democracy his father had championed for during his reign. In 2015, the King and his Queen visited Singapore to pay their last respects to the late Mr Lee Kuan Yew, founding Prime Minister of Singapore. Pls visit Drukair.com.sg to read about their official trip to Singapore.